Growing up in Houston, TX, HJ saw the way music affects every listener. Affects their mood, their desires, their attitudes…and even their soul. Which is what pushed her to pursue a career in Christian Music. 15-year-old HillaryJane asked herself, “If people can write songs that make you feel sad, why can’t I write music that brings you closer to Jesus?” And that is what she did. While rapping in a trio and performing in churches around Texas, which began as a hobby, it wasn’t until she started leading worship for her youth group that pushed her to singing ambitions. Little did she know, the largest Christian website (at the time), Rapzilla, would launch her solo career. Flash-forward to 2014, a 19-year-old HillaryJane just released her debut EP under Rapzilla’s Record Label. ‘Stix and Stones’ charted number three on iTunes R&B, behind Trey Songz and PARTYNEXTDOOR. The EP has been spotlighted for Amazon Music and iTunes as well. HillaryJane was a nominee for “New Artist of the Year,” next to Lauren Daigle, and “Hip-Hop artist of the Year,” next to Lecrae and Andy Mineo, for the 2014 We Love Christian Music Awards. After touring and sharing the music and it’s message, it’s finally time for more. “It was so wild to me. Waking up to all of the buzz. That’s when I knew people needed more music like this and I wanted to give it to them.” Faster than expected music moved from being a hobby into a full-time career. Every weekend booked. Opportunities to minister through her craft were pouring in. What seemed as a dream to a 15-year-old girl from Houston, became obtainable through years of patience and prayer. Aside from being a Christian Pop & Hip-Hop artist, HillaryJane has used multiple media platforms to share her love for the Lord with her audience. HillaryJane’s first single of 2018, Replay, quickly became a fan-favorite. Other recent single include L.O.V.E. and With Me Now. These were co-written with and produced by Josh Zegan aka Yesh, writer/producer of #1 Christian hits like, ‘You Are Loved’ and ‘Pieces’ by Stars Go Dim, also ‘What If’ by Blanca. 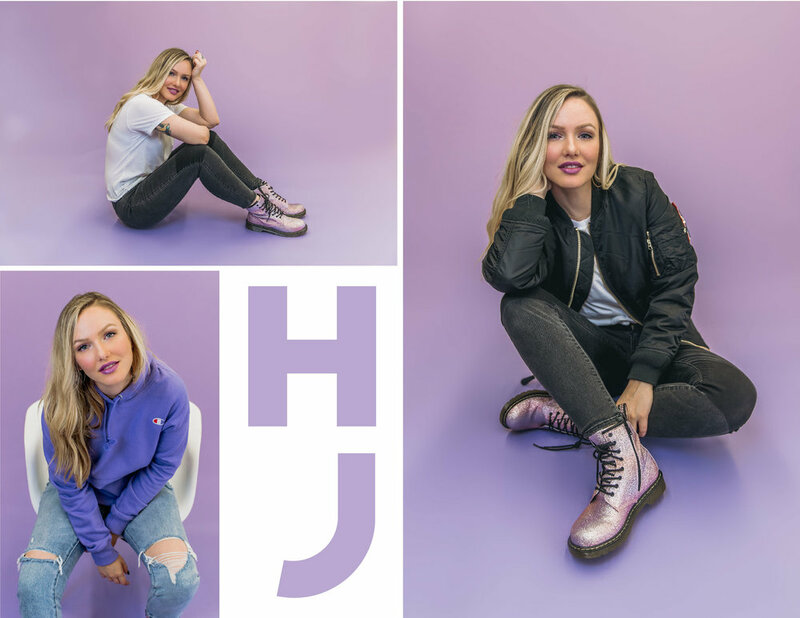 HJ's main goal in the industry and through other creative platforms like her YouTube channel is to give young Christians dope, upbeat and encouraging music where she feels there is a lack. "We need more godly music that Christians aren't afraid to share with their unsaved friends or jam with the windows down." Her overarching goal is to encourage young women to find their confidence in Christ and uplift with biblical truth.